Please note that this is a general calendar for Jackson Tutorial. We are trying to keep our schedules consistent. However, we will have some small differences. Please be sure to check with your teacher about their schedule to be sure you are aware of any variations from the main calendar. Also any cancellations due to inclement weather during the year will be posted on the main Jackson Tutorial page. 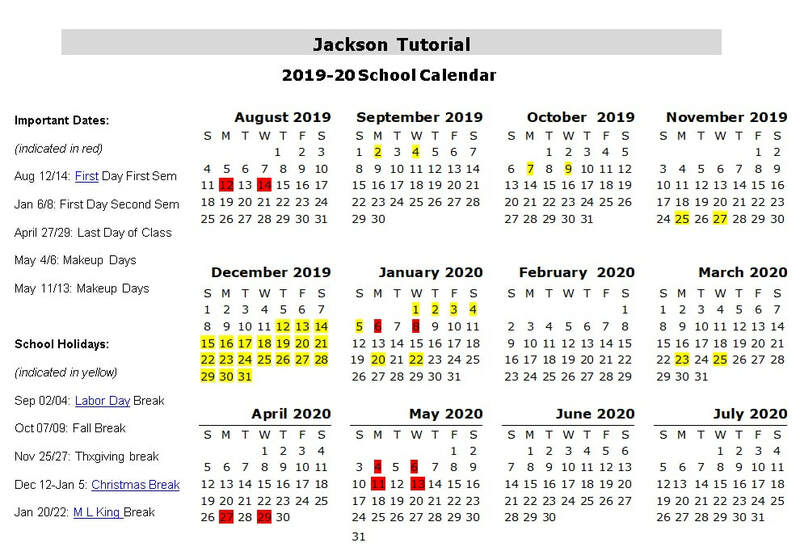 The calendar below is for the 2019-2020 academic school year.